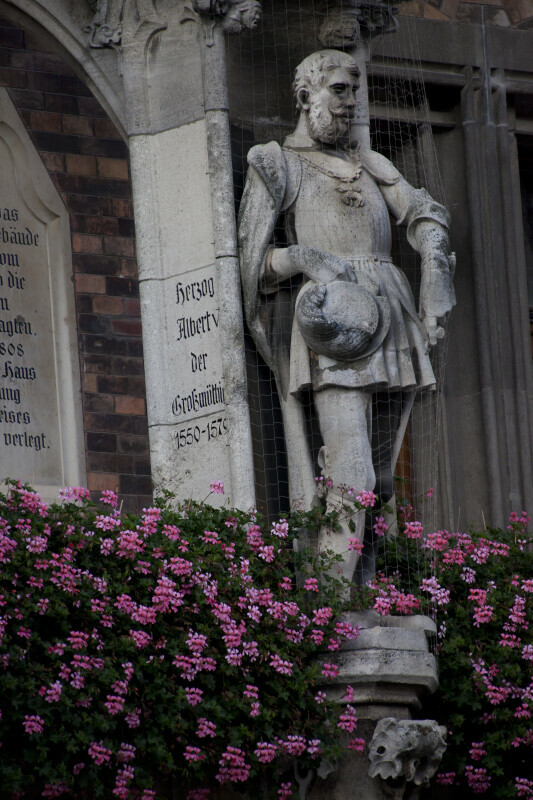 A sculpture of Albert V, who served as the Duke of Bavaria from 1550 until his death in 1579. His sculpture is located at the New Town Hall in Munich, Germany. The New Town Hall is a town hall which hosts the city government, including the city council, offices of the mayors, and part of the administration.